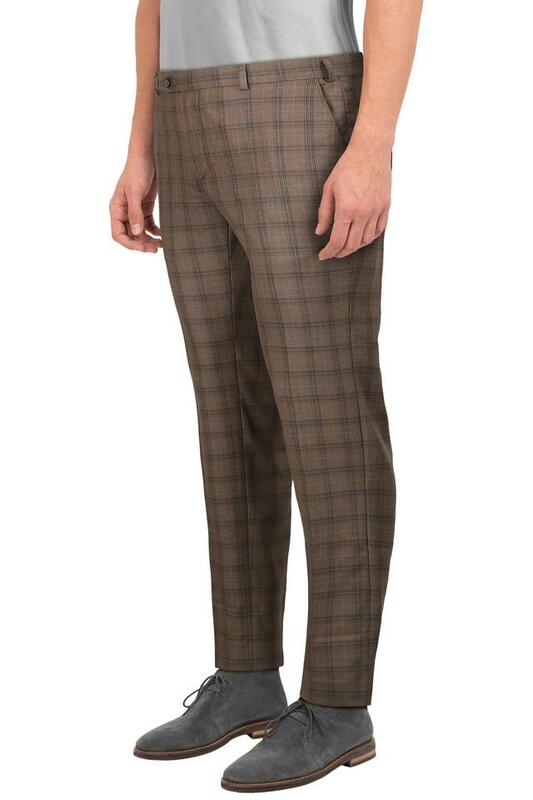 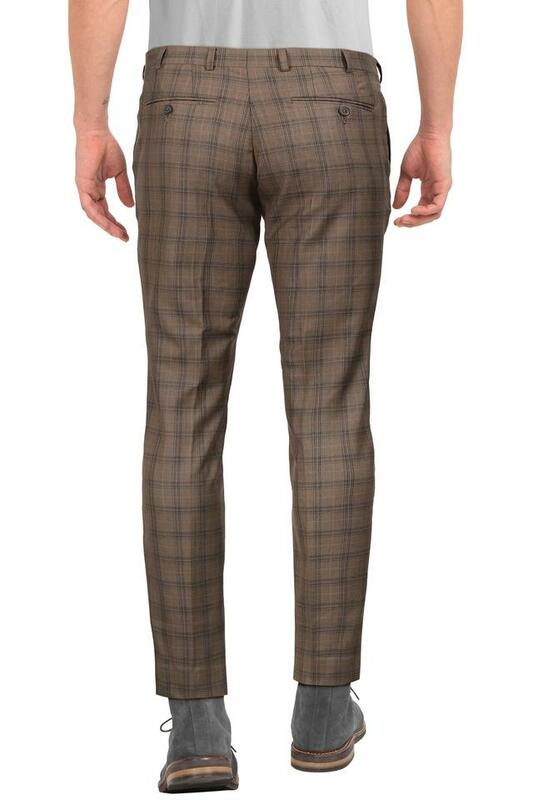 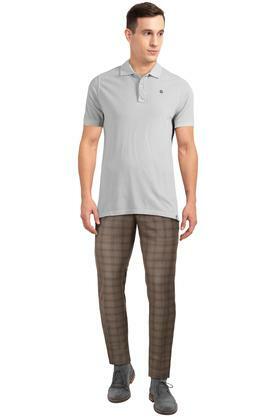 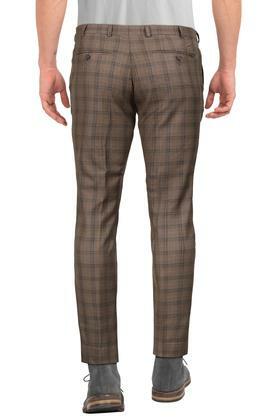 Raymond presents this pair of trousers, which will be a nice addition to your closet. 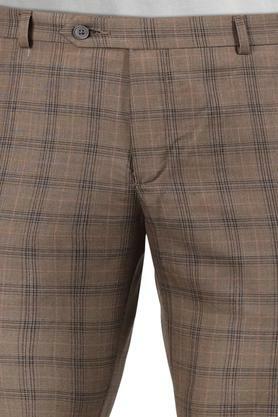 Made of good quality fabric, it will keep you at ease for long hours. It also comes with a checked pattern, which makes it look stylish. The waistband with belt loops further lets you team it with a classy belt for a snug fit. 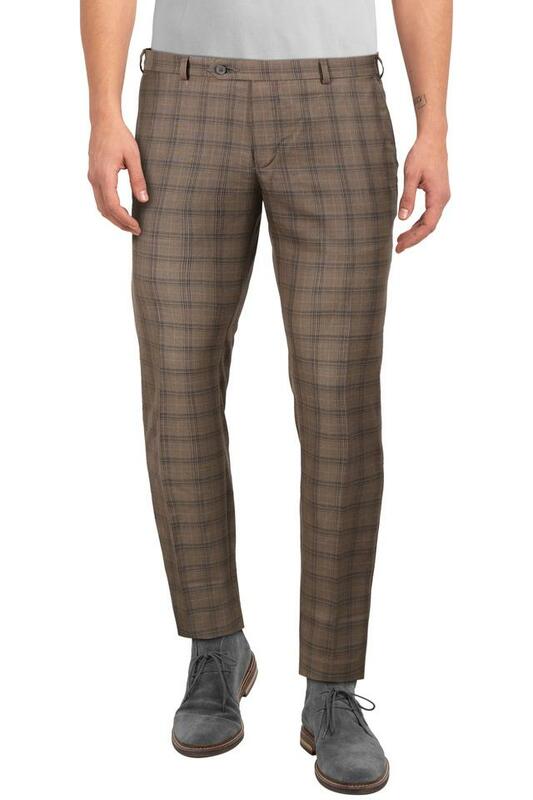 Infuse a contemporary touch in your ensemble with this pair of trousers. Team it with a shirt and a pair of shoes for a perfect look.